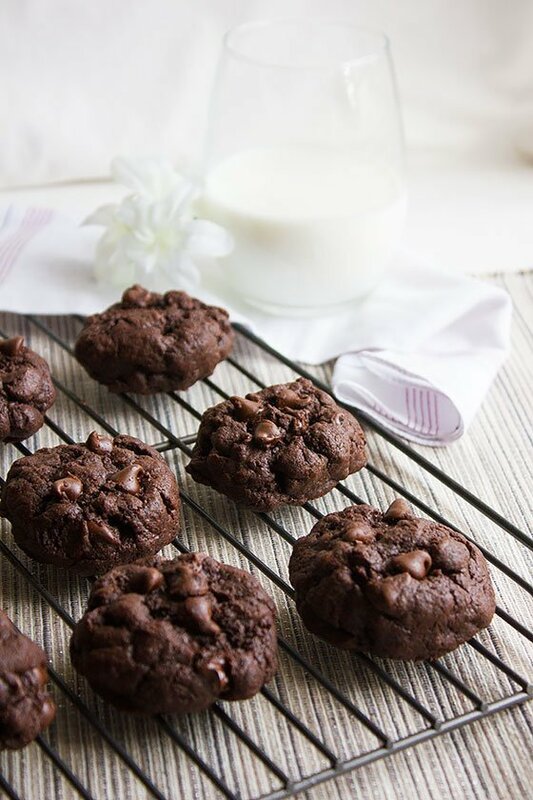 These chocolate chocolate chip cookies are perfect with a large glass of milk! 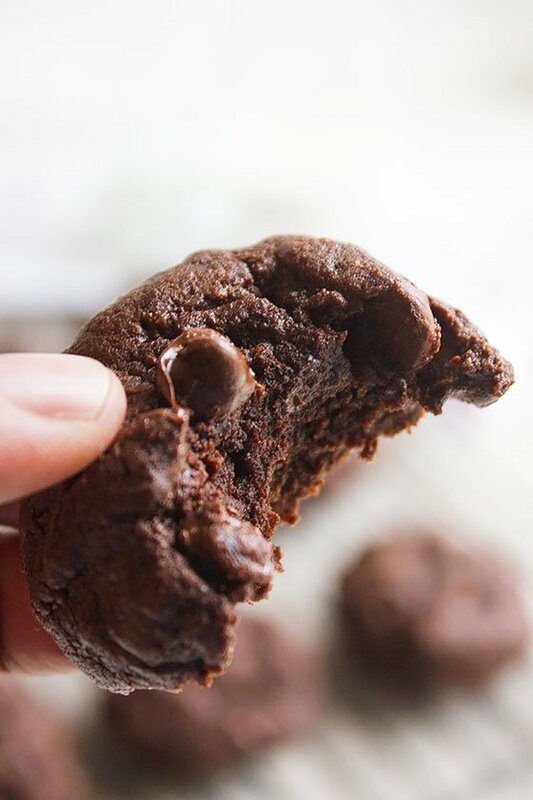 These cookies are chewy, soft, and oh so chocolaty. 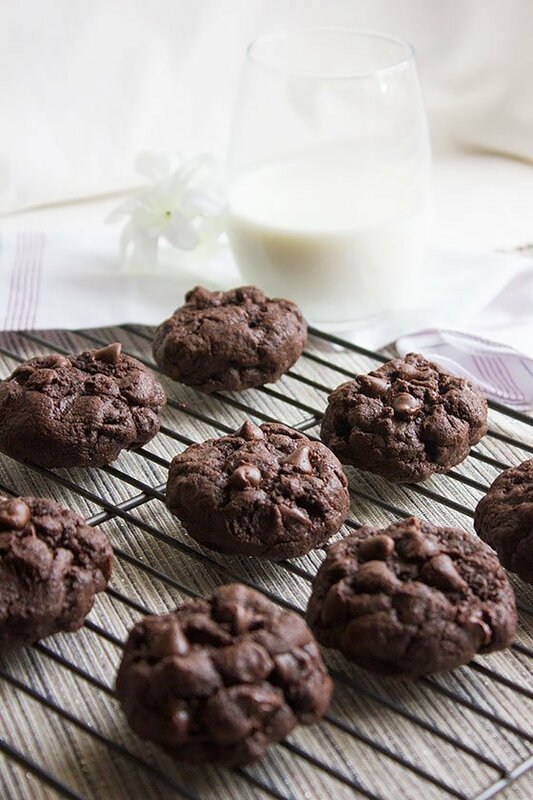 I know that there are many recipes out there for double chocolate chip cookies (as some like to call it.) 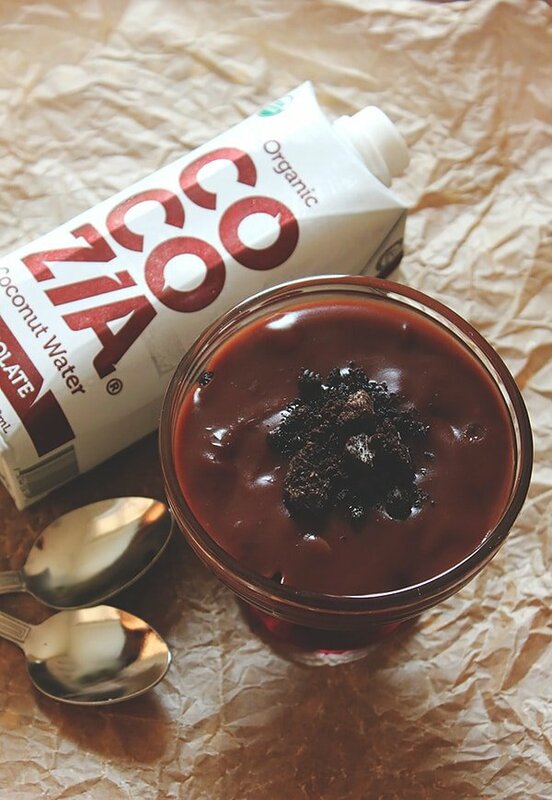 but in my opinion, hands down this is the best recipe I ever tried and fell in love with! 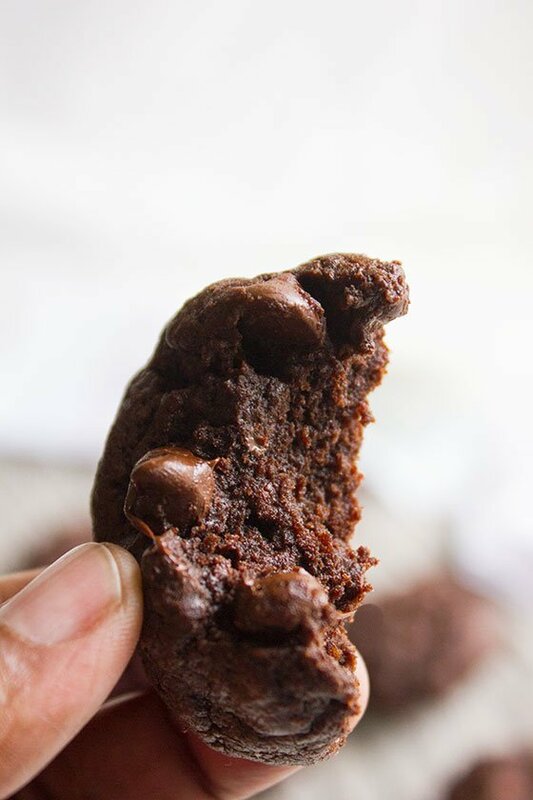 What I like about these chocolate chocolate chip cookies, is that it tastes like a chewy soft chocolate cookie, but at the same time and after a bite, it leaves you thinking of fudge brownie. In reality, it’s almost like having two desserts in one. While reading the baking instructions, you might stop at step number four and wonder what the @#$%!! Yes, it does say Pour boiling hot butter over flour! This method cooks the flour a little, give it a softer texture, and a nutty buttery flavor. I wanted these cookies to have the taste you look for in yet to be your favorite chocolate chocolate chip cookies, hence I used this method. Making Chocolate Chocolate Chip Cookies. I have used regular white sugar, but if you are an adventures person who can kill for a gooey, chewy cookie, then please use brown sugar. 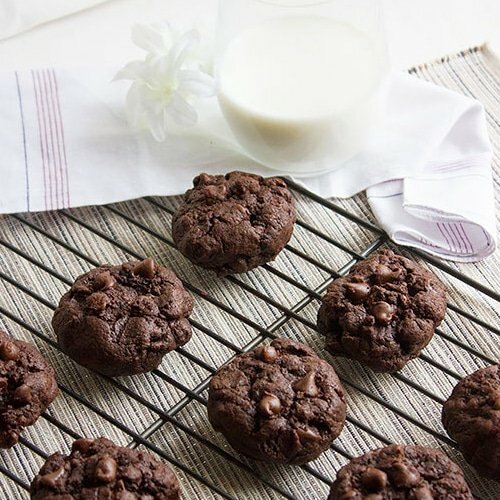 If I were you I would run to the kitchen and make a batch, no, make it two batches of these delectable cookies, get that glass of milk, fill it with ice (I would!) find a quiet place, and enjoy! Preheat oven to 335F/170C. Line baking sheet with parchment paper. 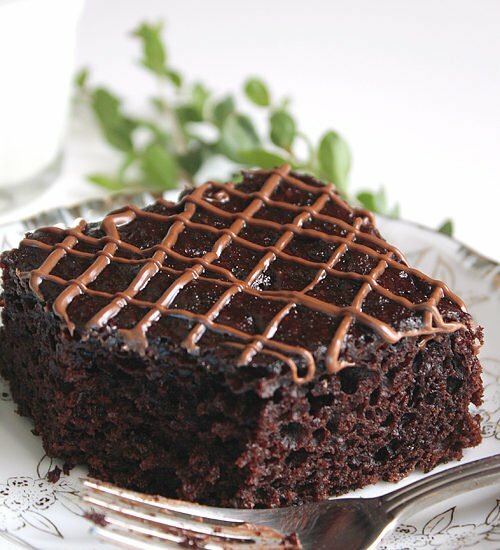 Sift cocoa powder with sugar, salt, baking powder, and baking soda. Keep aside. Add flour to a different bowl, make sure that the bowl is heat resistant. In a saucepan, heat the butter until it starts to boil, remove immediately from heat and pour in one go over the flour. Mix the flour with the hot butter until combined. Be careful in this step. Beat the egg with vanilla and add to the flour mixture, add the cocoa mixture and mix well. Add the chocolate chip too and don’t over mix. Cover and chill for 20 minutes. Take 3 tablespoon from the dough and form a ball. Now tear the ball from the middle creating two balls with jagged edges from one side. Gently smush both balls together jagged side up. Place on baking sheet and bake for 11 to 13 minutes. These cookies look so wonderfully rich and decadent. What a fantastic cookie! 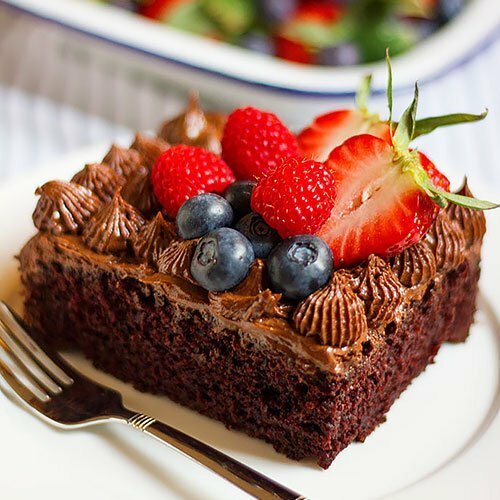 It looks really delicious. I’ve never heard of cooking the flour for a cookie dough; I’m really eager to see how it affects the taste. These look absolutely divine! 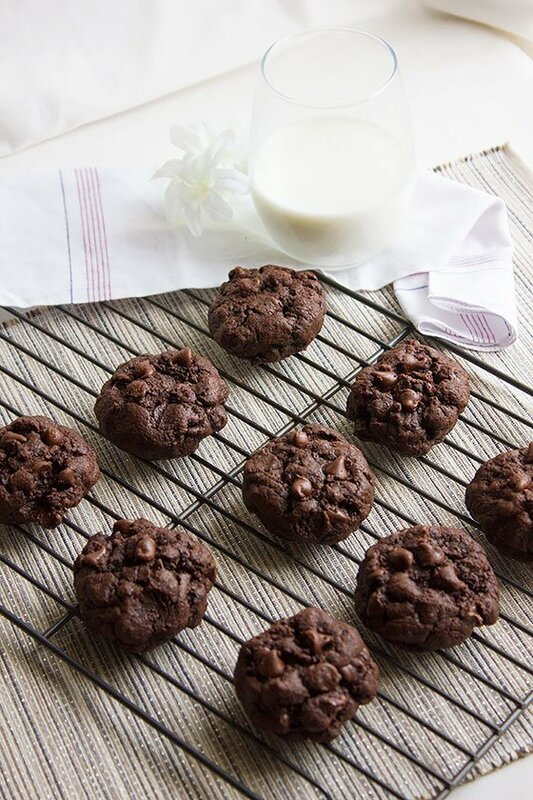 Chocolate chip cookies are my weakness but when they’re double chocolate…look out!